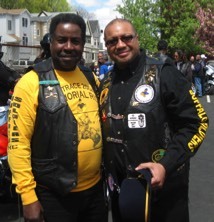 Welcome to the North Jersey Buffalo Soldiers website, we are located in the northern portion of the state. We are not a 1% motorcycle club and we do not claim any territory. The members of our chapter are retired and active police, military clergy and professionals dedicated to serving our community. Our purpose is to uplift, mentor and teach in schools, churches, or public forums the proud tradition of the 1866 Buffalo Soldiers. 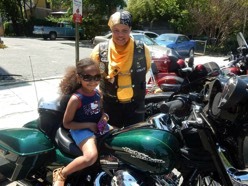 We are a chapter of the National Associations of Buffalo Soldiers and Troopers Motorcycle Club, a non-profit organization comprised of African American professionals, retire and active military dedicated to the sport of motorcycling and to the education of all as it pertain to the rich history of African Americans in our country. We ride under the name of Buffalo Soldiers to express our pride and out respect for the many accomplishments made during the decades following the civil war. We hope to instill that pride in the minds and hearts of today’s youths and older members of our community that are unaware of the history. We believe in our young people and we believe that our representation of heroes of past, the Buffalo Soldiers, will serve to ignite and strengthen the values of our youth in the future. The Buffalo soldiers were the Black Troopers of the Ninth and Tenth US Calvary and the 24th and 25th US Infantry. These regiments were comprised of African American soldiers. These four regiments compiled a notable record of military accomplishments. They patrolled the turbulent Western frontier from Arizona to Montana and distinguished themselves in doing so.